On March 16th, GRACe—the studio building that is home to 90 working artists—was visited by Denver Community Planning and Development and Denver Fire Department in an unscheduled inspection. The City has told the owners and tenants they must comply with requirements to improve the building to be code compliant, which, according to GRACe stakeholders, will bear a significant cost. It is unclear what exactly happens next. The studios do not face imminent closure, but that possibility is very real in the near future. RiNo stands behind GRACe and ALL artists, as well as the property owners who support them, and this matter has shed more light on the issues we face with zoning and code enforcement in keeping artist spaces not only open, but affordable. We support efforts to be safe, but we also believe the City has been unfocused in working with us to find creative solutions. Would the City be willing to explore allowing artist studio spaces as a conditional or provisional use in a building? Would the City allow for a special use permit, so that tenants may easily convert underutilized industrial and commercial buildings into artist workspace? These designations would decrease the cost and requirements for creative spaces to build out (still ensuring the spaces are safe) and would allow the property owner to rent to artists at a low price. We have seen other cities do this in creative ways—we believe we can come up with an even better plan for Denver. 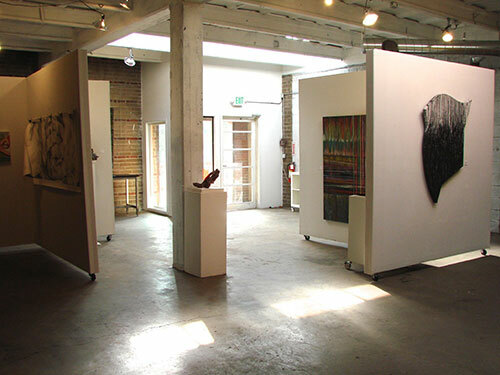 RiNo has a number of building owners who are willing to provide affordable spaces for artists, but the current permitting and change-of-use requirements prohibit them from easily and affordably converting their spaces. Meanwhile, our buildings currently in use as artist space are being systematically inspected on a regular basis. We believe there is more that can be done. If you are with RiNo, please get vocal. Post your comments here. Call your councilperson. Send a letter to the Mayor. We’re running out of time to save our creative spaces.